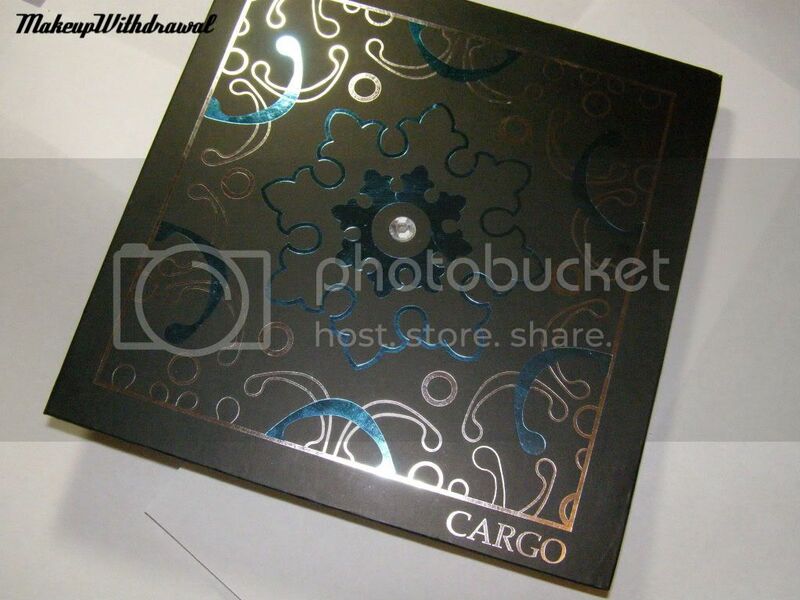 Cargo comes out with some awesome palettes (remember Hands of Hope and the Runway Palette?) and when I saw this palette at Macy's yesterday, I was thrilled. My Macy's has a small section near the entrance that contains brands like Urban Decay, Sue Devitt, Stila, Cargo, etc. Anyways, I was walking by this section when I was ambushed- a sales associate proudly brandished the Lumières du Monde palette at me, and initially, I joined in her excitement. I mean, the palette is beautiful! Eight large pans of shadows imprinted with this intricate design- I was overwhelmed. And in the center, a two layered bronzer/blush thing that just... called to me. Indoors, under lightbox, flash. All swatched dry, over bare skin. 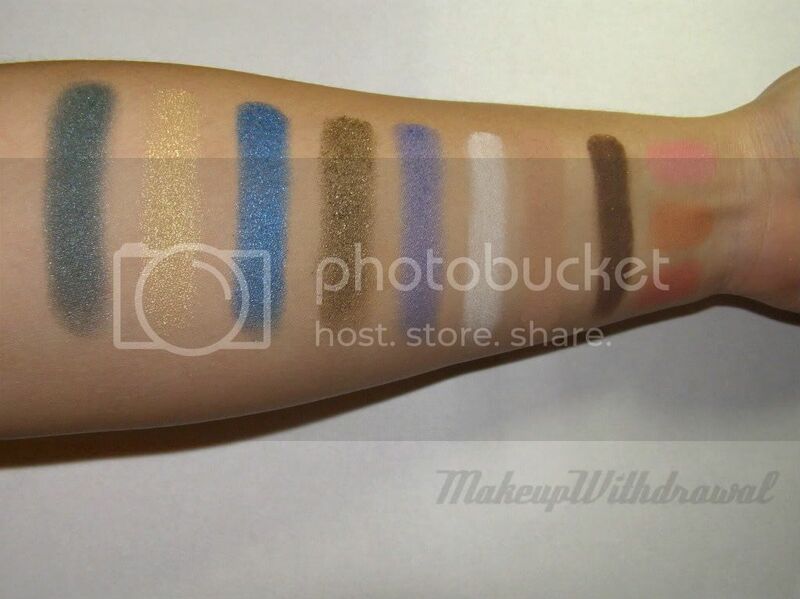 Left to right: a shimmery teal, a metallic yellow, a bright sparkly blue, a antiqued gold-olive shimmer, a periwinkle shimmer, a matte white, a matte tan, a matte brown with micro glitter. The three swatches on the very right are from top to bottom: the blush, the bronzer and the blush/bronzer mixed together. However, once I brought it home it was kind of a different story. The shadow I was looking forward the most- the olive shimmer was chunky and it just did NOT want to stick to my skin (not even wet, primer, base). Other than that- all the other colors were decent (I mean, they're not as finely milled as I like nor very creamy but... they're shadows) and the blush/bronzer pan was pretty. Also, I wish the palette also wasn't so bulky (it's almost as wide as the drawer in my Helmer in which it lives). But... I mean it was only $29. Yeah! Not even thirty bucks. Hopefully in the next few days, I'll find a way to make this palette work for me. 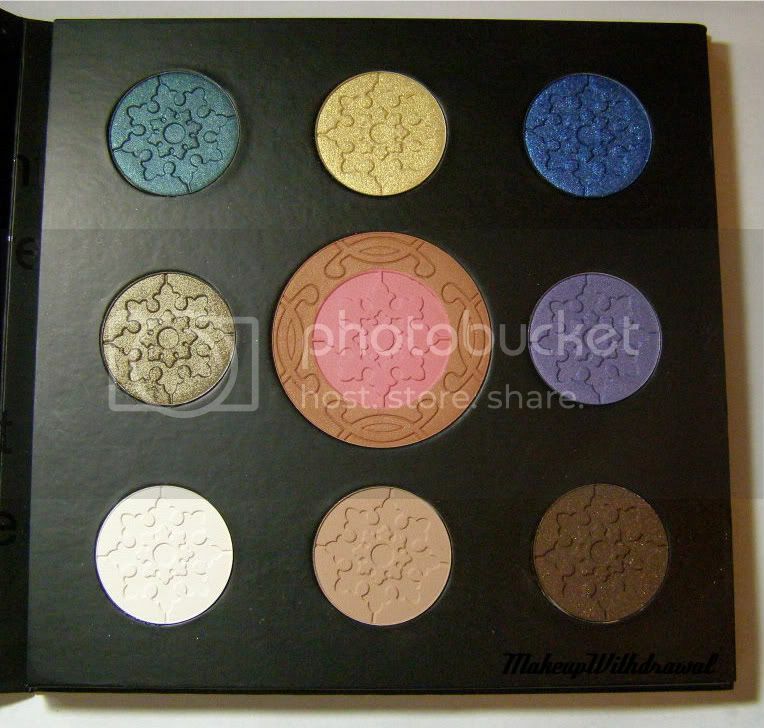 So, what do you think about this palette? Are there any other holiday palettes that caught your eye?